I digress. 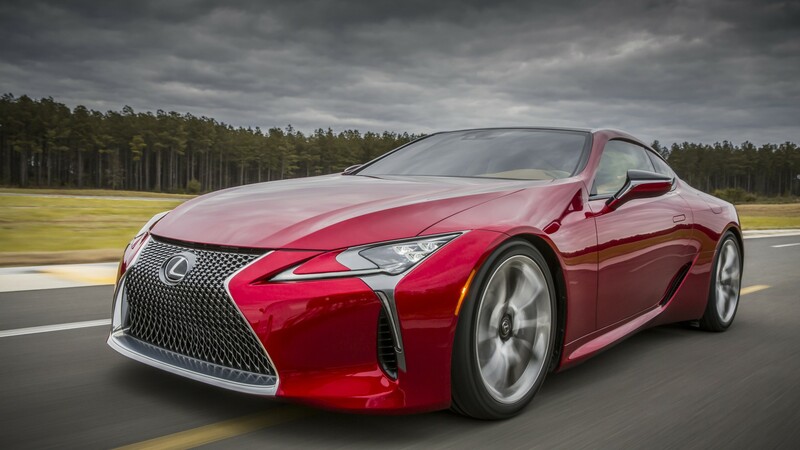 In this era of tiny turbocharged engines that will rev to 10,000 rpm or the eye-watering 0-60mph performance of electric cars, there is something delightfully old fashioned about the Lexus LC500. Lurking under the low, swoopy bonnet is a thumping 5.0-litre V8 petrol engine which, when you unleash the horses, churns out 471bhp. There is no turbocharger; everything is normally aspirated. 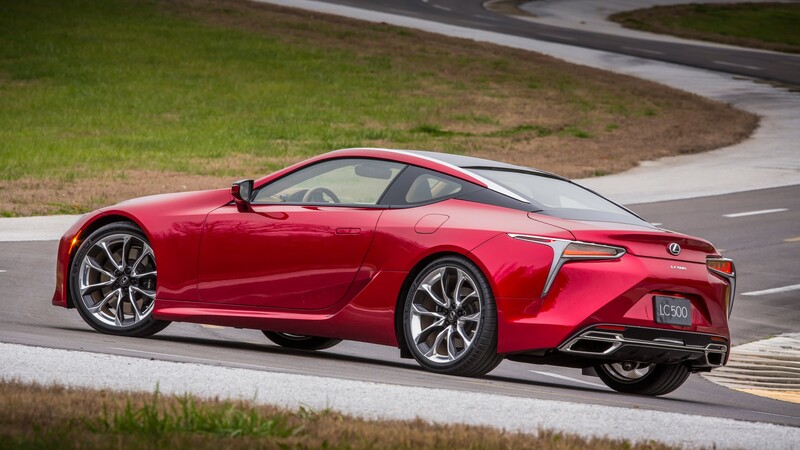 If you want to save the planet, the LC is also available as a hybrid; the Lexus LC500h. It features a 3.5-litre V6 petrol engine combined with an advanced electric motor. Both versions costs exactly the same: £76,595. Why go for the hybrid? 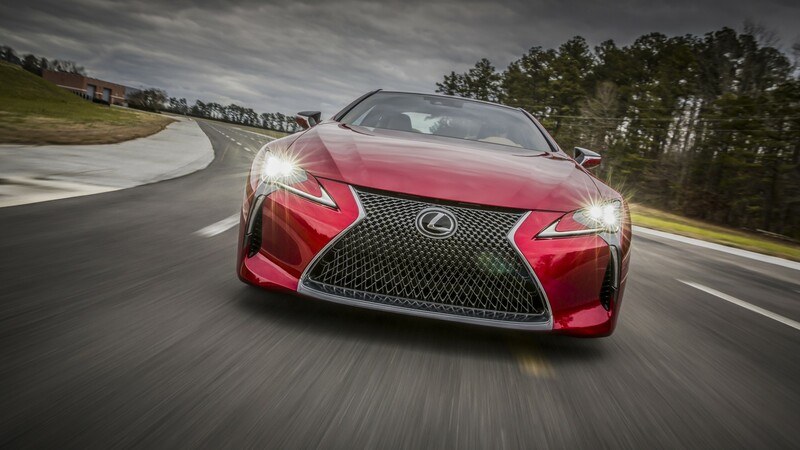 Well, you get an extra 20mpg according to Lexus (that’s 44.1 mpg as opposed to 24.6 mpg in the ‘ordinary’ 500). 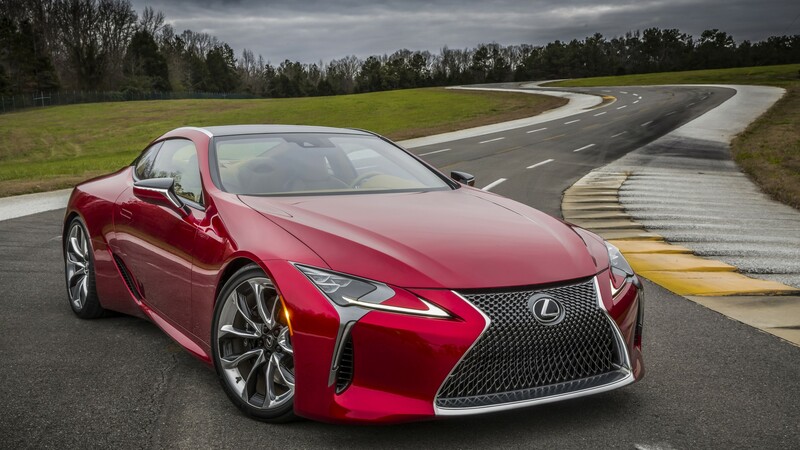 However, we suspect that most folk will not be trundling around in the LC500h and would prefer to make full use of all old-school horse power. The full-fat V8 version sounds better, is a tad more responsive, and a teeny weeny bit quicker with 0-60mph coming in at 4.7 seconds while the hybrid model dawdles to 60mph in 5.0 seconds. (Yawn.) Top speed is 170mph in both. Of course, response is what you get from a normally aspirated engine. There’s no waiting for a turbo to start spinning. Dab the throttle, and woosh. 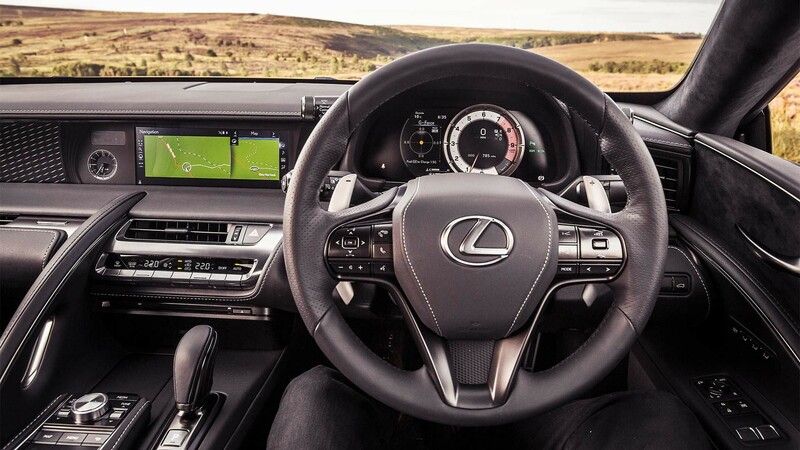 An automatic gearbox comes as standard, but we like to make full use of the steering wheel paddles which help you keep the engine on song. The LC comes with a ten-speed box so if you want to maintain maximum oomph, there’s a fair bit of twiddling going on. This is especially important for down shifts because the auto ’box is a mite lethargic to kick down. It’s better to do it yourself which, let’s face it, is no hardship. You can improve the responsiveness by altering the driving mode from Normal to Sport or Sport+ but there’s not a lot of difference. The ride is surprisingly forgiving even in the Sport+ setting. If you go for the Normal setting, the ride is better at low speeds around town than your average. 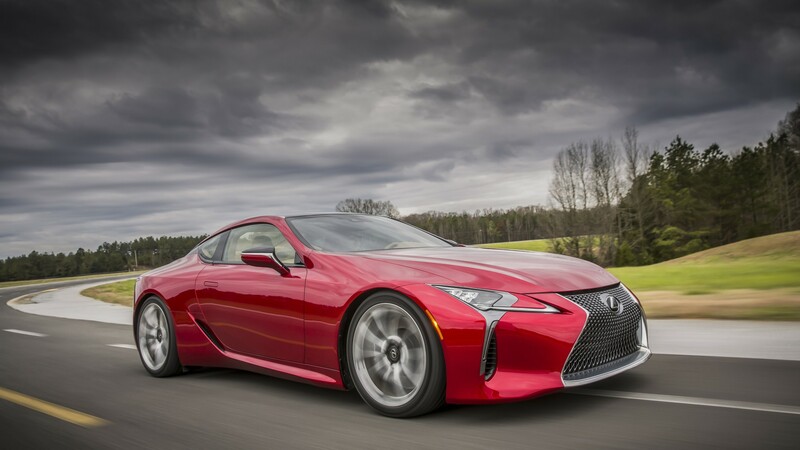 Handling is utterly predictable although most owners will view the Lexus LC500 as a long-legged GT grand cruiser than a point-to-point sprinter. You’ll need to be canny when it comes to packing your bags, the boot is fairly shallow. Having said that, because the LC500 is a 2+2, you can chuck stuff onto the back seats. 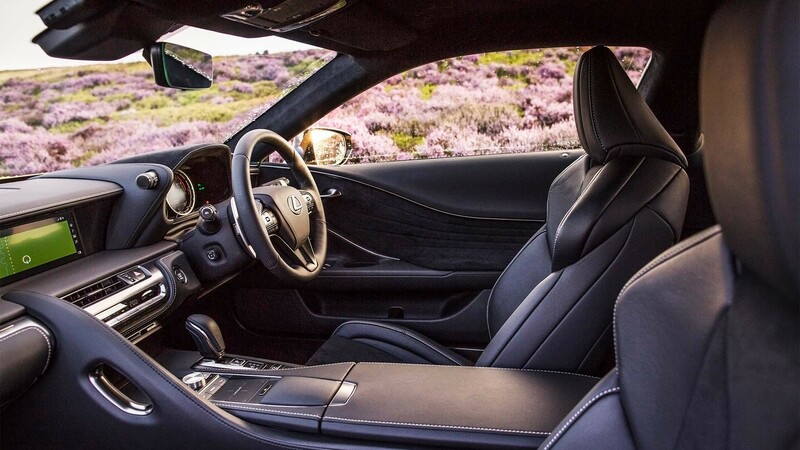 Inside, the LC500 is pure Lexus, which means top-quality materials throughout. Everything feels well-made and the minor switches have a lovely action. However, the touchpad that you use to access all of the techy stuff via the colour infotainment screen is a nightmare. It’s the same sort of affair that you have on a laptop where you move your finger around to alter the position of a cursor and then press to activate whatever you’re looking for. I became so frustrated on a couple of occasions that I gave up and waited until I could pull over. Which is a pity because once you start using it, then everything is fairly intuitive, but it is far too sensitive for use when on the move. OK, it may become more familiar with use and I suppose that once you’ve got most things set, then you’ll not need to fiddle with it too much, but the designers need to go and have a look at something like BMW or Audi to see how to do it. 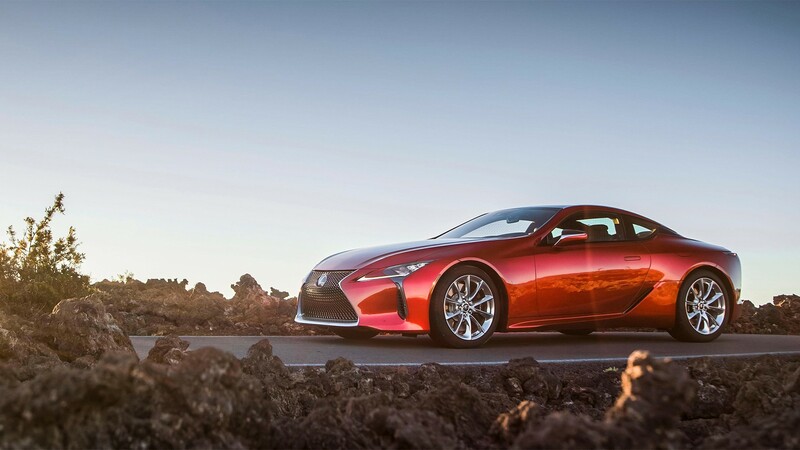 There’s no doubting that the Lexus LC500 looks like nothing else. It’s a real head turner. It’s also decent value bearing in mind that you get, well, everything as standard. If you want an outright racer, go for the Porsche 911. If you want to create more noise, get an F-Type. 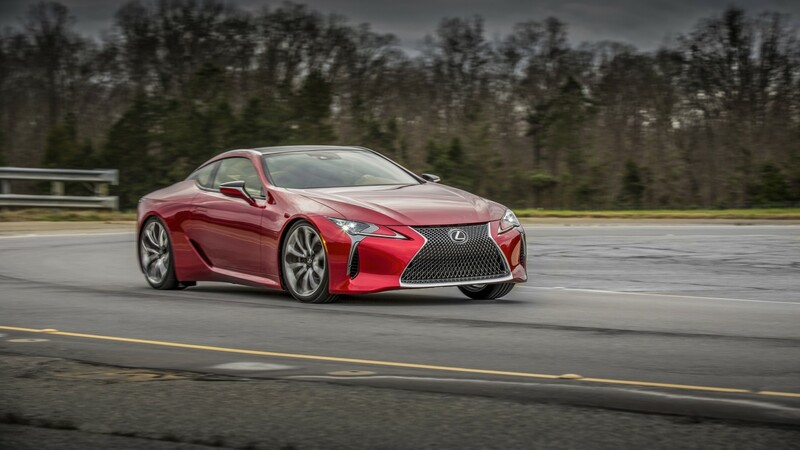 As a seriously good, fast yet comfortable mile muncher, though, the Lexus LC500 takes some beating.